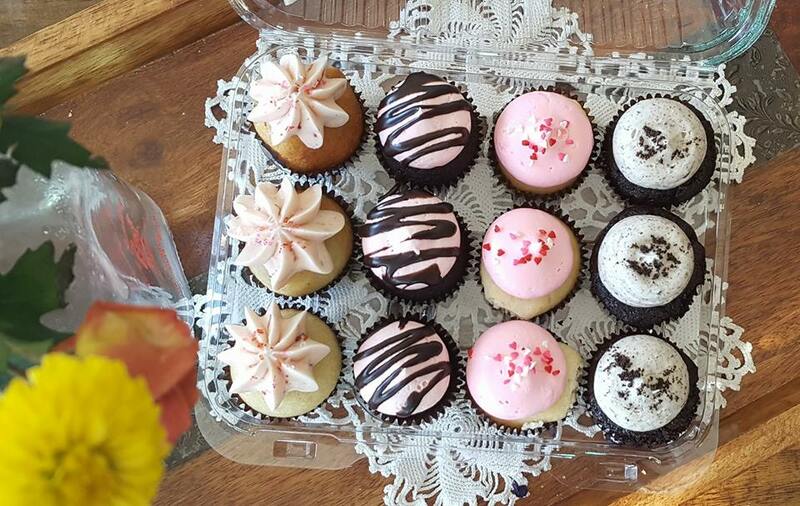 Order in any quantity or request a Valentine's Assorted Dozen. Cherry Crush—-This pie starts with our buttery homemade crust. We fill it with a classic cherry pie filling and top it with our oat crumble. Mint to Be (Valentine Exclusive)--NEW!!!! Chocolate chess pie filling baked into our pastry crust, topped with peppermint fudge and a pink peppermint whipped cream and white chocolate shavings. SHIP A GIFT! USE OUR SHIPPING SITE AT WWW.SUGARPATHSHOP.COM TO SHIP NATIONWIDE!